Who has been watching THE BIBLE series on the History channel the last couple of weeks? I know many people did because the first three installments of THE BIBLE series on History topped the ratings for all of television. With over 68 million viewers, THE BIBLE is cable's #1 new series of the year. The final two episodes will premiere this Sunday, March 31, and the entire series will be available on DVD April 2. 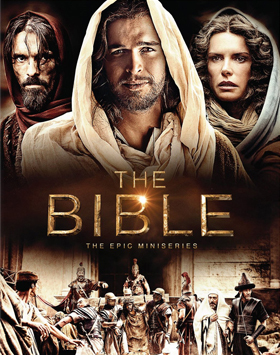 THE BIBLE, premiering every Sunday on HISTORY over the last three Sundays, culminating on Easter, was created and executive produced by Mark Burnett (The Voice, Survivor, Shark Tank) and Roma Downey (star of Touched by an Angel). 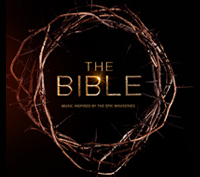 A landmark television event, THE BIBLE combines one of the greatest collections of stories ever assembled with live action and state-of-the-art CGI. THE BIBLE will arrive on Blu-ray and DVD with hours of exclusive special features and extras. Executive producers Roma Downey and Mark Burnett's THE BIBLE continues to be a cultural phenomenon and draw audiences from across all platforms including books, DVDs, music and downloads, inspiring viewers as it heads into Easter weekend and the series finale. Enjoy this sneak peak of the series finale! 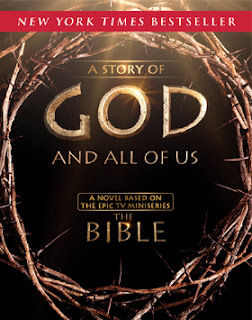 Courtesy of Twentieth Century Fox Home Entertainment and Motive Entertainment, we get to celebrate Good Friday with an AMAZING Giveaway celebrating THE BIBLE series worth $95! Product Description: Courtesy of Word Entertainment & Motive Entertainment, the 12-song musical companion inspired by the epic miniseries, The Bible, features top Christian artists performing songs that highlight the various themes from the series, anchored by Francesca Battistelli's new recording of the Peter Gabriel hit, "In Your Eyes". Product Description: The New York Times bestselling novel based on the epic TV miniseries, The Bible.